If you’ve ever been to 30A, Florida, you’ve probably spotted a beautifully crafted, towering sandcastle. The Gulf Coast of Florida is often pegged “The Sandcastle Coast” because of the ideal crafting conditions here! If you’ve seen one of these next-level seaside sculptures, you might be wondering how to make the best sandcastle yourself. Your Friend at the Beach is here to help! Below, we’ve listed everything you need to become the best sandcastle architect on 30A. For more local insight, be sure to unlock your free 30A Vacation Guide! A wooden spoon and/or butterknife for detailed carvings. Often, sandcastle-making kits come with just about everything you need. Purchasing one of those is a great start if you don’t have time to gather all of the above materials! We’ll let you in on a little secret: If you see bikes on the beach, it’s most likely a fantastic spot for sandcastle-building! The sand on bike-friendly beaches offers firmness and high amounts of moisture—the two most important aspects of the sand you’ll use for building. Here on the Emerald Coast, just about every beach offers ideal castle-crafting conditions! Try Blue Mountain Beach, Santa Rosa Beach, or Destin. The most important part of becoming an expert sandcastle architect is harnessing your imagination. This is especially important for the junior sandcastle builders in your party. After all, making sandcastles is one of the best things to do on 30A with kids! Let them know that breaking the mold (not literally—you may still need that!) ensures that your party’s creation is totally unique and memorable. Don’t know where to start or just need some sandy inspiration? Enjoy a hands-on learning experience when you book a 2-hour sandcastle building lesson with Beach Sand Sculptures! This unique company specializes in teaching people how to make seriously awesome sandcastles (and unforgettable memories) through demonstration. This experience is perfect for families, teams, companies, couples, and everyone in between. You’ll learn how to efficiently work together to create an intricately designed masterpiece that will wow all passersby. Stay Just Steps Away from Your Beautiful Sandcastle! Now that you’re envisioning the sandcastle of your dreams, you’ll need a comfortable place to stay! 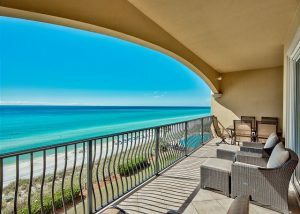 Select one of our stunning Gulf-front condos on 30A and relax knowing you’re moments away from the shoreline. You may even be able to see your creation from your spacious, open-air porch! All of our properties come with complimentary amenities like Keurigs (so you can have your favorite flavor as you watch the sunrise), cookware, hot tubs, pools, lounge chairs, and much more. 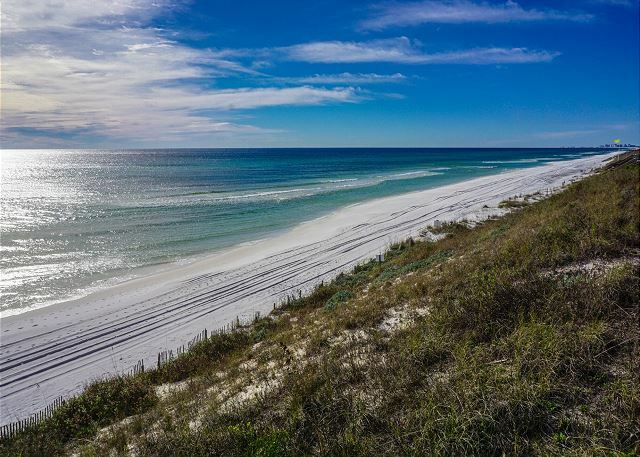 Whether you need to know how to make the best sandcastle on 30A, paddleboard rentals, or gear to take on 30A’s bike trails, we can help you arrange almost any excursion! In addition to luxury condos and premium perks, our team offers an extensive concierge service! Leave the planning to us and we’ll make sure your trip is as stress-free as possible. Ready to get building? Check our availability today! We can’t wait to host you. Here Are 10 of the Best 30A Kids’ Activities — Here Are Two of the Best Wine Festivals on 30A!